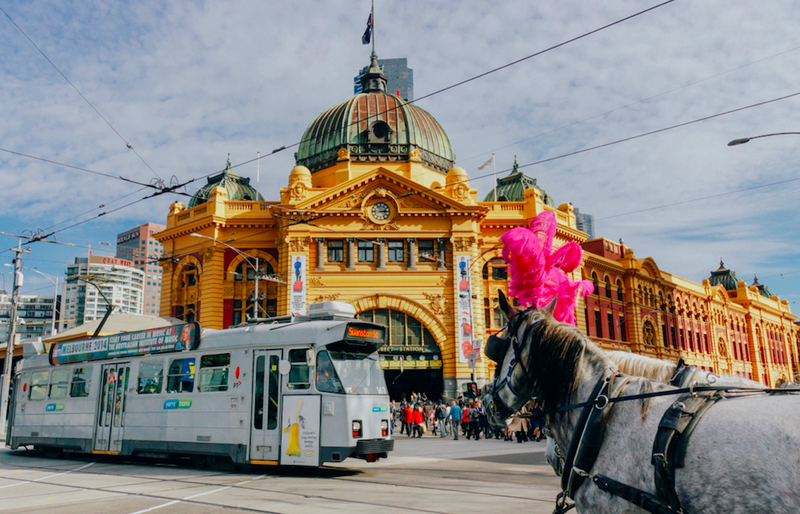 Melbourne is frequently voted as the world’s most liveable city but what makes this Australian metropolis stand out from its peers? Is it the amazing beaches, the thriving entertainment scene or the wealth of culture that hides around every corner? 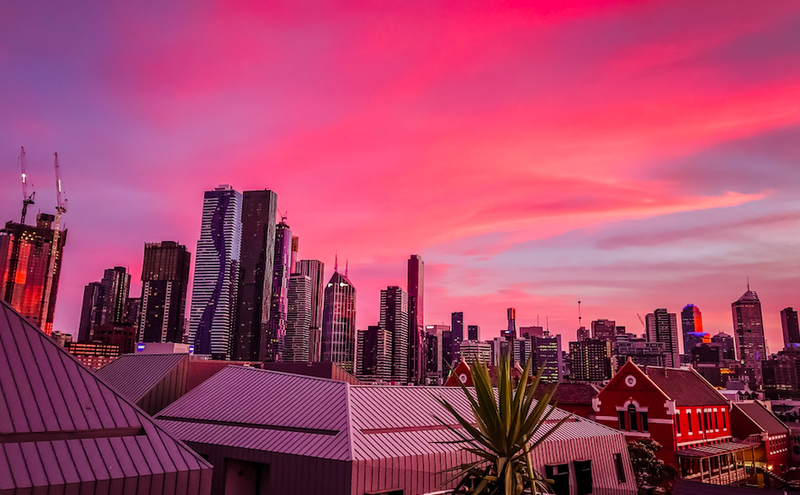 The truth is that Melbourne is made up of a variety of different moving parts that make this city a great place to call home. In this article, we will explore just a few of them. So, without further adieu, here’s our ultimate guide to living and working in Melbourne. According to transport website Moovit, The average amount of time people spend commuting to and from work is 80 minutes. This is two minutes less than Sydney (82 minutes) and four minutes less than London (84 minutes). The average distance people ride in a single journey, e.g. to or from work, with public transport is 9.8km. 28% of people ride public transport for more than 2 hours every day. This includes tram, train and bus. If you’re moving to Melbourne you will need to get a myki card. This is a plastic travelcard with a stored value that can be topped up and reused again. You can buy your card online or at premium stations and outlets. Just remember to tap your card before and after each journey. 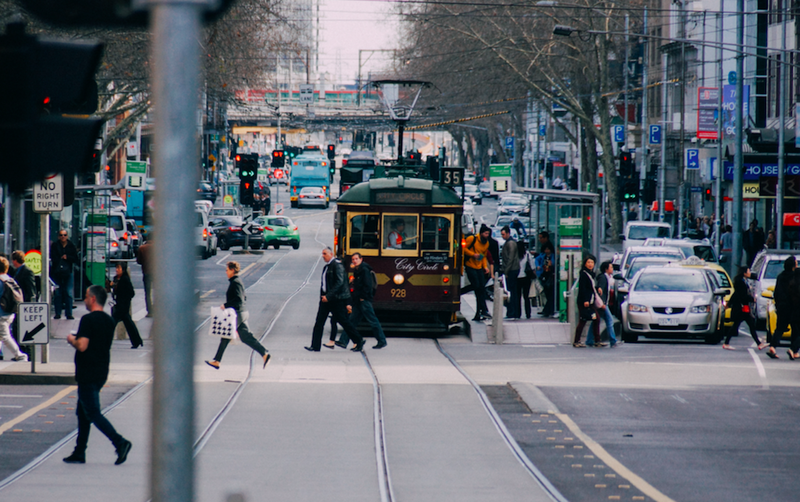 Melbourne’s tram network is the longest urban tramway in the world, with 250 kilometres of track and 25 routes. Keep in mind that the historical City Circle Tram is free, so if you’re not in a rush, by all means, hop on. Melbourne trains run from the outer edges of the city right through to the inner suburbs and CBD. Depending on where you are and where you’re going, trains are sometimes a quicker option over trams or buses. However, they are usually very crowded during rush hour. Melbourne’s buses run frequently to major hubs, including shopping centres, schools, hospitals, leisure and sports venues. For people travelling further afield, Victoria’s V/Line service gives access to regional towns and scenic attractions across the state. Melbourne is currently ranked as the best tech city in Australia and the 14th best tech city in the world. 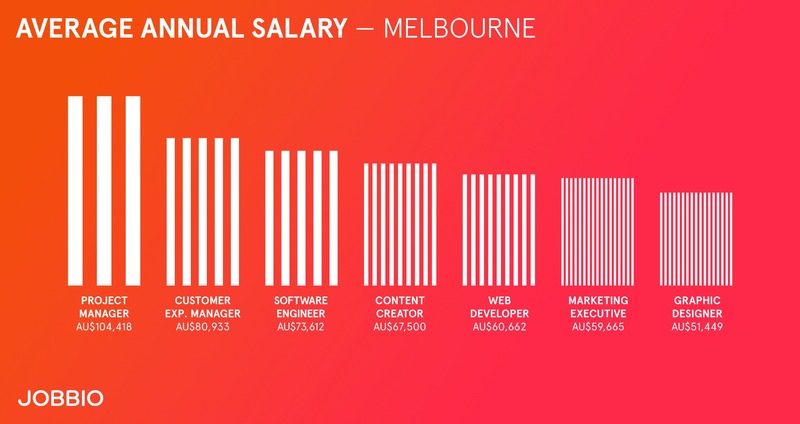 The tech sector in Melbourne employs 85,000 people in around 8,000 companies and generates approximately A$35 billion annually. 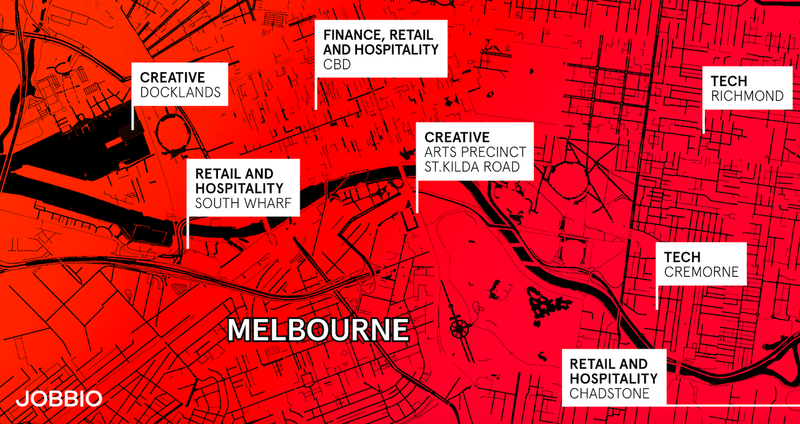 With around 1,100 tech startups, Melbourne has about twice the average number of startups compared to other ecosystems at a similar developmental stage. Melbourne is Australia’s second most visited destination, and one of the fastest growing in the nation. 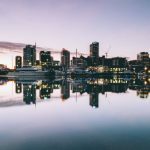 The CBD is home to more than 19,000 businesses and caters for 854,000 people on a typical weekday. Retail and hospitality contributes $5.5 billion to the city’s economy and employs more than 63,000 people. Financial services play a crucial role in the Victorian state economy, accounting for around 11% of the Gross State Product. The finance industry employs more than 115,000 people. 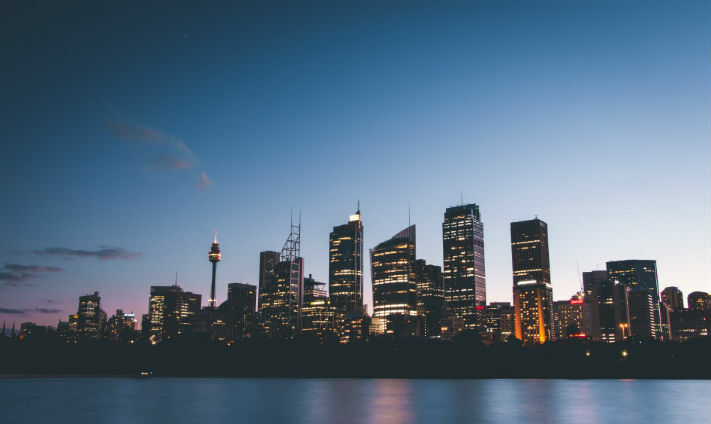 Melbourne is home to two of Australia’s Big Four banks, Australia’s largest regional bank, six of the top eight largest superannuation funds and Australia’s largest health insurers. 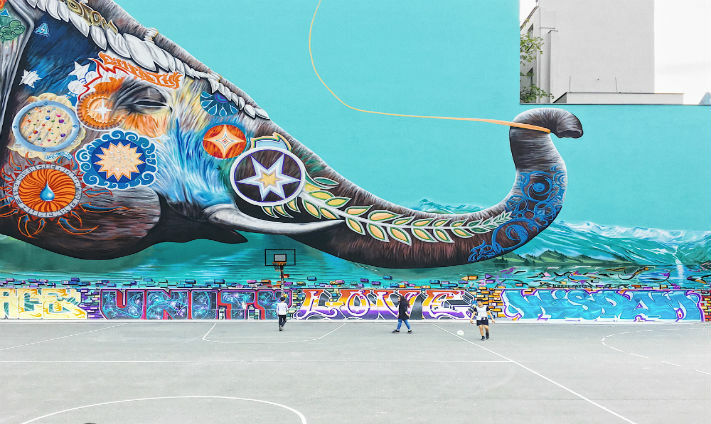 Melbourne’s creative industries include a diverse range of fields such as arts and culture, design, games and screen. 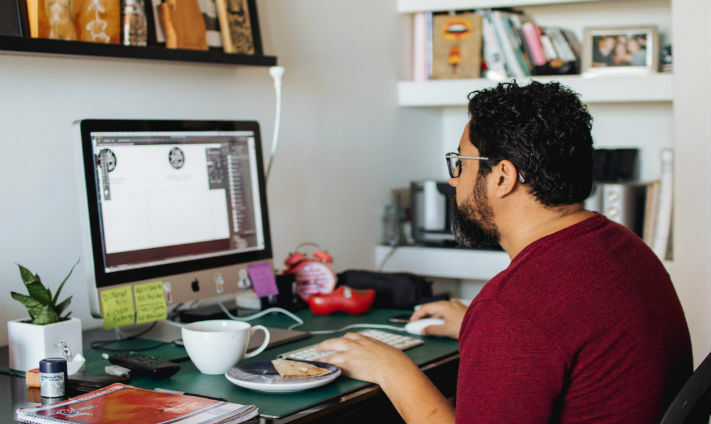 In 2017, 1,734 businesses (and organisations) in the creative sector provided 36,544 jobs. The sector has a total output worth $8.38 Billion and contributes $4 Billion in Gross Local Product to the City of Melbourne economy. If you want to move to Oz you will need to make sure that you have the right visa and there a lot of options to choose from. From skilled visas to working holiday visas it’s hard to know which one to choose. 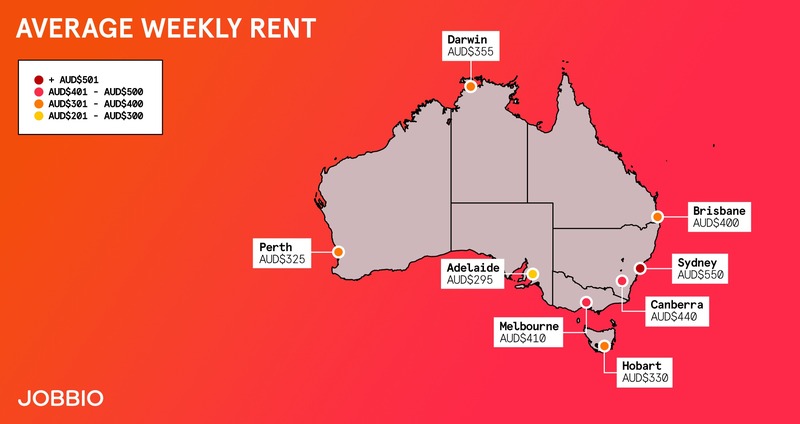 According to Domain, the median rental price for houses in Melbourne is $430 per week, while units come in at about $410 per week. However, houses within the city boundaries are closer to $600 a week. It’s important to remember that your costs don’t stop at rent. Most apartments will require a deposit or rental bond (usually four weeks’ rent upfront, plus two weeks’ rent in advance). You may also need to pay to install internet or furniture. Melbourne has lots of quirky and affordable neighbourhoods. Here are just some of the most popular destinations for young professionals. If you like to be in the middle of the action then South Yarra might be for you. It’s a cosmopolitan area with good nightlife, cinemas, gyms and public transport. There are also some great cafes and eateries all along Chapel street. Richmond is a multicultural suburb which houses Melbourne’s entertainment precinct. It’s a great area for young professionals looking for a trendy place to live. In Richmond or nearby Cremorne, you’ve got easy access to the Botanic Gardens, the sports precinct and music venues like the Corner Hotel. Brunswick is an up and coming area with a nice suburban feel (without being too far from the city). There’s a big community atmosphere in this neighbourhood. The area has various different events and festivals throughout the year as well as community vegetable gardens. 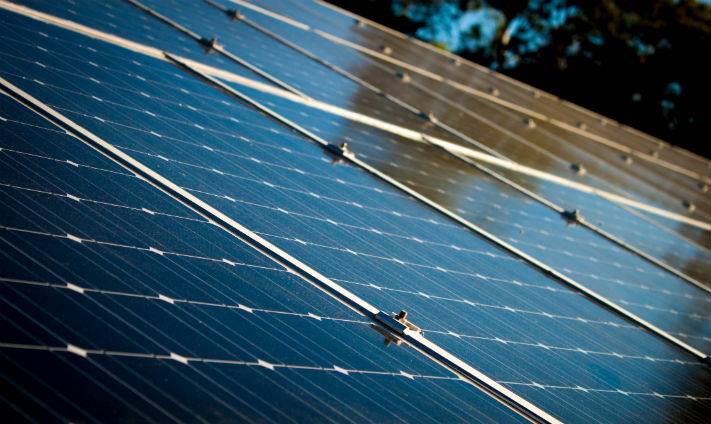 If you’re an environmentalist, this is the place for you. Only eight kilometres from Melbourne, Coburg is close to the city but has the peace and quiet of the northern suburbs. The area used to be an industrial neighbourhood full of European immigrants, today it is a very quirky place for professionals to put down roots. Known as ‘Little Italy’, Carlton is a suburb popular with university students and young professionals thanks to its great restaurants and bars. The suburb is home to many of Melbourne’s most popular attractions, such as Carlton Gardens, the Royal Exhibition Building and Melbourne Museum. Mercer’s 2018 Cost of Living Survey ranked Melbourne number 58 in the world in their list of most expensive cities. 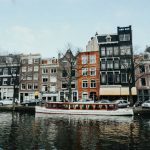 So the city is a more affordable destination than many other global cities but it can still be pricey. The average price for a pint is $9 according to the same website. While two tickets to the local cinema will set you back $39. Expatistan estimates that dinner in your local Italian restaurant will cost $96 while a one-month gym membership will probably set you back $74. Living in Melbourne will be expensive but If you’re savvy with your wages you can make your money go further. Always avoid tourist areas when eating out. Find local, small cafes and get to know your barista. When doing your grocery shopping it pays to explore some of the markets. Queen Victoria and South Melbourne markets have lots of great finds. Daiso is a store in the city where everything costs just $2.80. There’s also a Reject Shop, where you will find toiletries, stationery, garden items, toys, and snacks at heavily discounted prices. If you’re looking for some culture the NGV (National Gallery of Victoria) is located on St Kilda Road and has a vast collection of art from around the world. The Australian Centre for Contemporary Art is also free as is the Australian Centre for the Moving Image. 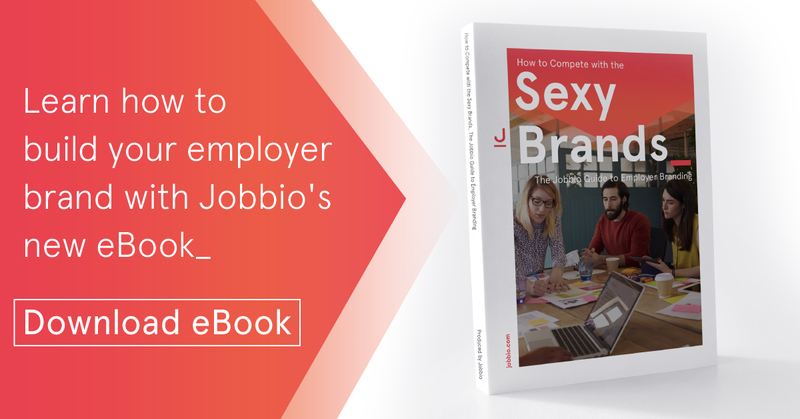 “Look for accommodation and a job straight away as it can take a while to get set up. Do a walking tour when you get there. You can discover a lot of things by just wandering about. “The public transport is great. Don’t stick to one area every weekend, there are so many bars and cafes in the suburbs. “The Great Ocean Road is 90 minutes away, we go down twice a month for camping and surfing. It’s beautiful. The 12 Apostles is the most popular tourist attraction, but Loch Ard Gorge and Wye River are two of my favourite spots.